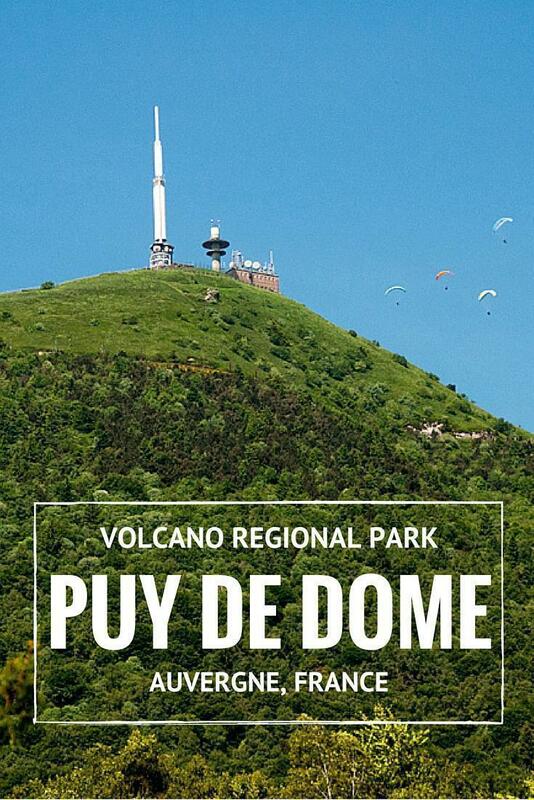 In the heart of France lies Puy de Dome, an inactive volcano. 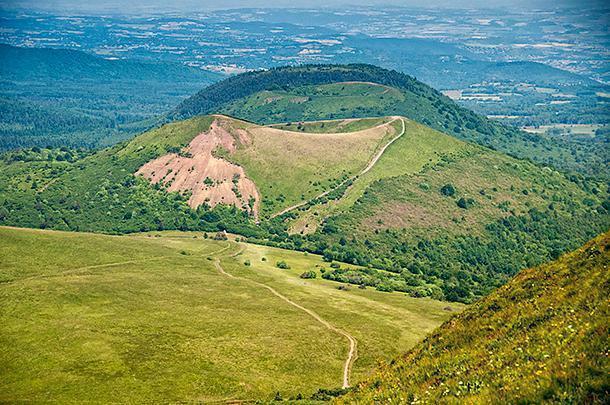 It is actually one of a chain of volcanos making up Auvergne’s Regional Natural Park of Volcanos. Surprised there are volcanos in France? I was too. The region of Auvergne is a hidden gem in France. Located in central, southern France, it is entirely landlocked. I think of it as a ‘fly-over’ region, because people pass through on their way somewhere else. However, for those who linger, Auvergne reveals a rich history, geography, and beautiful landscapes. An important part of this landscape is the volcanos. 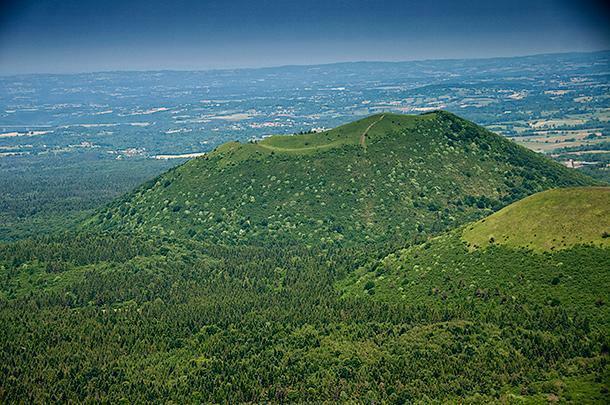 Thousands of years ago, this part of France was an active volcanic area. The volcanic activity left its mark in the cone shape of volcanos and in basalt ridges made from lava flows. 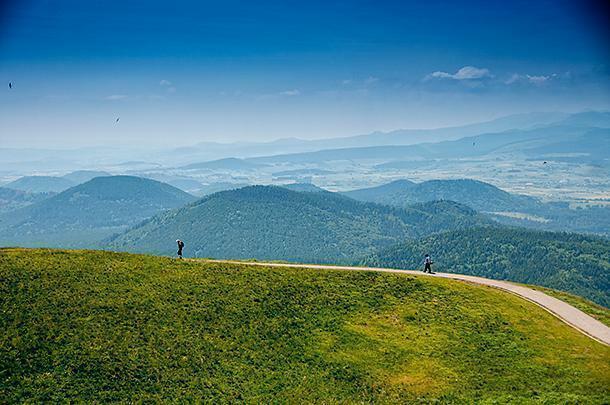 What remains today is a remarkable landscape dotted with 80 Puys (old French, meaning a volcanic mountain with a rounded profile), forests, and subalpine plains. This area is so interesting geographically and ecologically, it was designated a Regional Natural Park in 1977. 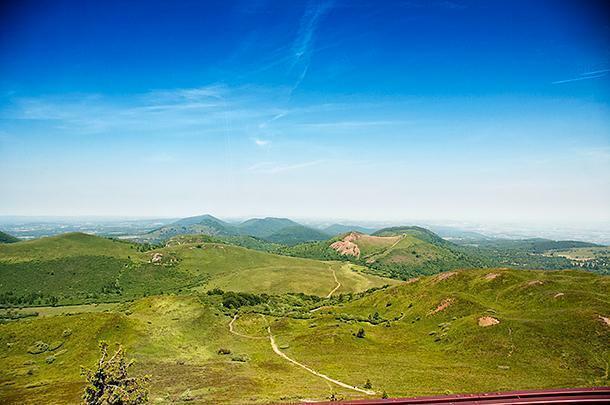 The park covers about 400,000 hectares across two departments (Cantal and Puy-de-Dôme) and runs roughly North-South, following the chain of volcanos. The chain of Puys stretches out before you. 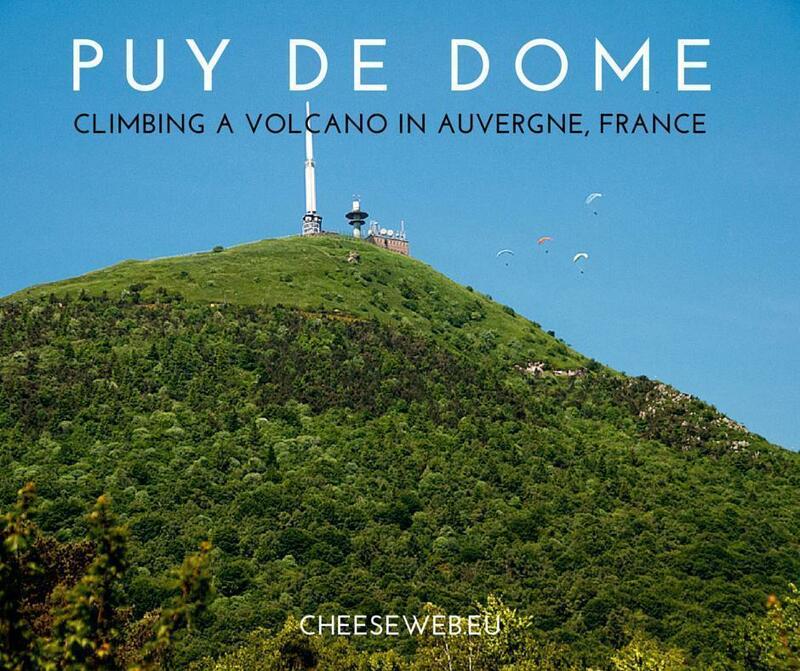 Puy de Dôme, at 1465m, is the tallest of the mountains in the Chaîne des Puys and has been used by humans for thousands of years. In 1873, the remains of a Gallo-Roman temple, dedicated to Mercury, were discovered while building an observatory. Until the 20th century, the only reliable way to reach the summit was by foot, following a trail called the Mule Trail (Le Sentier des Muletiers). In the early 20th century, first a road, then a railway was installed to ease access to the summit. In 1925, the train ceased operation and only the road remained. By the early 21st century, the site was welcoming over 50,000 cars, 7000 buses, and 500,000 people each year. All this traffic was having an impact on the site, so a plan was put in place to bring back the train. In 2007, a project was launched to build a ‘rack’ railway powered by electricity. A rack, or cog, railway has a third rail in the middle with notches, like a gear. Underneath the train are wheels, also like gears, which pull the train up steep slopes using this notched rail. This enables the train to go up or down the mountain no matter the weather. 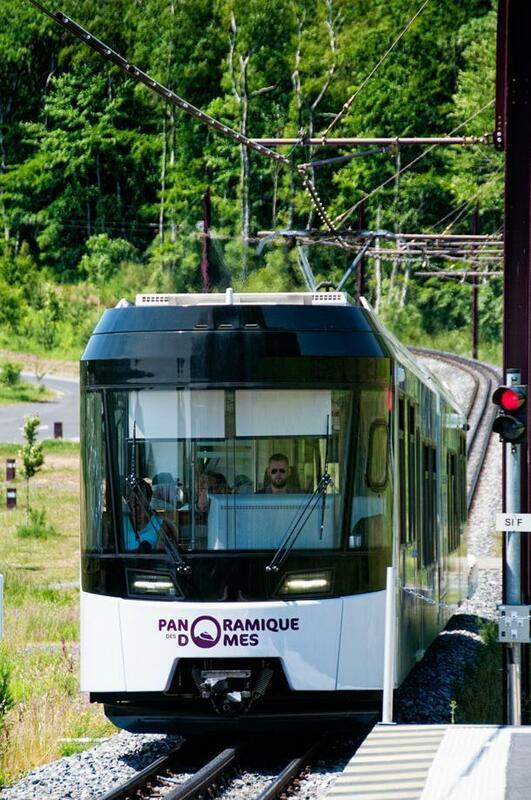 The Panoramique de Dôme entered service, in May 2012, and all traffic on the mountain has ceased. (There is one lane left on the road allowing emergency or other vehicles to ascend if needed). Visitors now have a choice of walking to the summit or taking the train. Walking to the top is said to take 50 minutes, following the Mule Trail, from the parking lot at Col de Ceyssat. 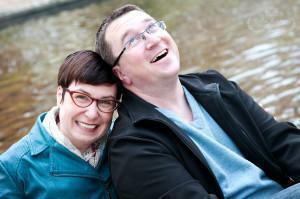 However, factoring in photos, breathing, and not being a mountain goat, I would plan on 90 minutes. No point in rushing to the top! You can also join this trail from the main arrival/departure area (where the train is located) but factor in an extra 60 minutes. Another option is called the Goat Road (Le Chemin des Chèvres), which is part of a long distance hiking trail GR4-441. This is much longer and less direct than the Mule Trail but does eventually end at the main arrival/departure area. For those opting to take the train, you will be treated to panoramic views of the landscape as you ascend. The railway winds up and around the mountain unveiling the landscape below on all sides. I recommend getting a seat on the left-hand side of the train (when facing up the hill) so you have the best view. The view alone is worth the price of the trip. The train offers a great view, as long as you snag a seat on the right side. The train takes 15-20mins to get to the top and runs every 40 minutes except for the months of July and August when it runs every 20 minutes. You can also opt to take the train one way, combining it with walking up or down the mountain. During our visit, we opted to take the train for two main reasons: it was blistering hot, with no shade for our cats in the motorhome, and we were on a tight agenda. The large parking lot at the arrival/departure area is only a few years old and the trees haven’t grown enough to provide any sort of shelter from the sun. So before we left we opened all our vents, pulled the blinds on all the windows, to minimize the heat, and gave the cats some cold water. We hurried over to the main arrival/departure area only to see the train leave just as we were approaching. Nuts! We caught the next train, 40 minutes later, and wound our way to the top. As we ascended, a paraglider hovered above us, following our winding path up the mountain. His level of control was amazing! Paragliding is one of the big draws to Puy de Dôme. 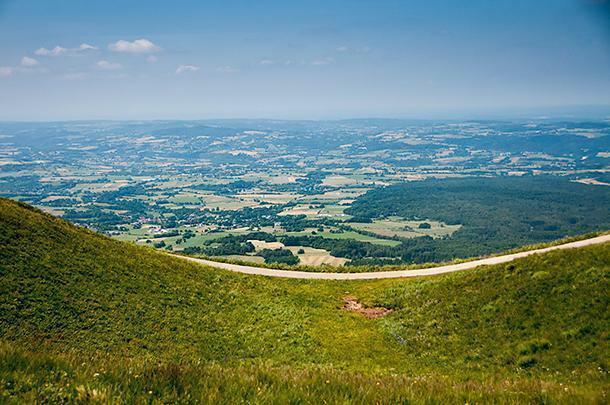 A paragliding school makes use of Puy de Dôme as its base, as the train makes it easy to carry gear to the top. During our visit, there were 10-12 paragliders enjoying the beautiful sunny weather and calm winds. I would love to try it one day! Paragliders use Puy de Dome as a convenient base. Exiting the train at the top of the mountain felt like getting off a lift at a ski resort. 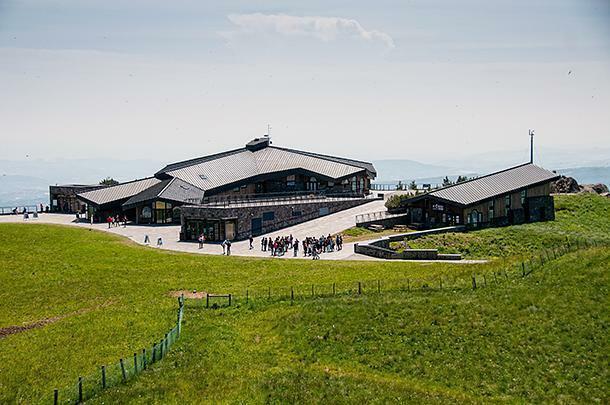 The main buildings at the top welcome visitors and provide a couple of restaurant options. Stepping outside, it is clear we’re not yet at the top. On the peak above us sits an observatory (first opened in 1876) and a huge antenna. There is also a huge terrace where you can sit and eat your packed lunch or food from one of the restaurants. And all around are walking trails leading in different directions (mostly heading up). Guess it was a good idea to wear our walking shoes! For views like this, it’s worth hiking to the top. But of course, the view is what we came for and the mountain delivered! We had a nice clear day, during our visit to the top. It was a bit hazy but you could see the chain of volcanos very clearly. 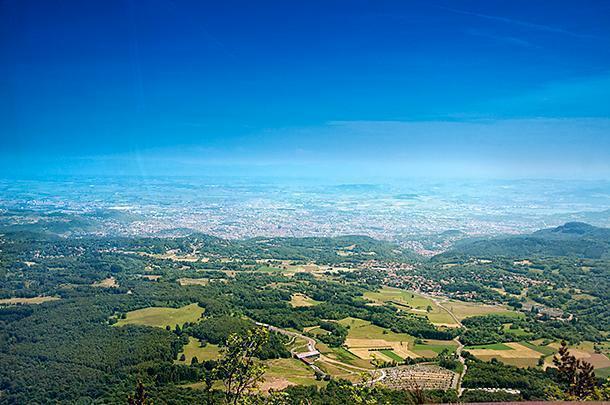 This view of the volcanos is one of the big reasons to visit Puy de Dôme. With no trees at the top, the visibility is excellent. As part of the work to install the train, the entire mountain top had been returned to a more natural state. It was grassy, hilly, and it felt like you could fall off the side if you slipped! The paths around the top were pulling at us to go explore the mountain and the views. There are three themed walking routes: the Pilgrim’s Route, the Conquerors Route, and the Route of the Curious. The Pilgrim’s route shares information about the Temple of Mercury, how it was built, and how the remains are being restored. 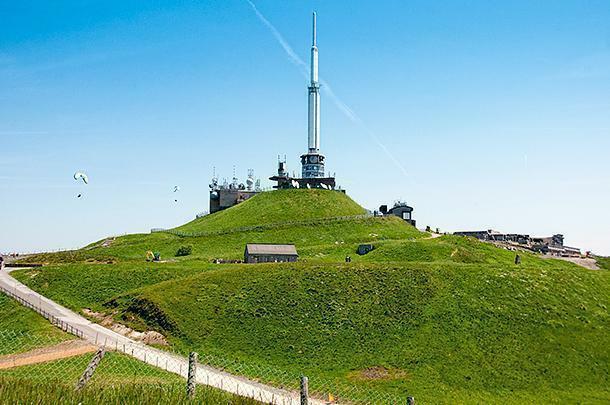 The Conquerors Route informs visitors about the mountain’s sporting history (Fun Fact: in 1975, Eddy Merckx was punched in the kidney while ascending Puy de Dome during the Tour de France), the adventure of Eugène Renaux, the history of the observatory, and more. The Route of the Curious talks about the plants and animals inhabiting the mountain. Being pressed for time, we simply picked a random path and started walking around the mountain. Frankly, it didn’t matter what route you picked as there was always something to see. From above, it’s easy to see some of the Puys were once active volcanoes. We walked around the top for about 30 minutes, not nearly enough time to get all the way around. I would suggest at least 90 minutes, allowing plenty of time to get all around the top, soak in the views, and grab a bite to eat. If you are visiting in the summer, definitely take your sunglasses and sunscreen, as there is no shade at the top. There wasn’t a lot of wind when we were there but, as it is so exposed, it might be worth taking a light jacket as well. The train ride back down was smooth and comfortable. We managed to grab seats on the right-hand side (the outside of the train), on the way down and were rewarded with a beautiful view of the mountains and valleys below. It was also interesting to learn the Panoramique de Dôme captures the energy generated on the descent to provide 35% of the power for the next train coming up. When thinking about the reason for installing the train in the first place — reducing the impact on the site and environment — it makes a lot of sense to harness the energy of the descending trains. I enjoyed our trip to the top of Puy de Dôme. The views are stunning and you could easily spend a morning or afternoon at the top. I would love to go back and hike the mountain, especially for the sunset (forget about the sunrise, that’s way too early for me). However, I would also include a trip on the train, one way, as it gives you a 360-degree view of the surroundings. Regardless of how you get there, go to the top. See the volcanos. I bet then you’ll stop and think: I didn’t know France had volcanos! 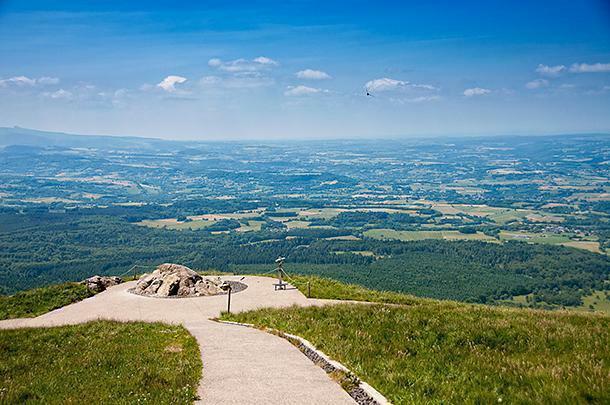 Have you visited Puy de Dôme or Auvergne? What did you think of the chain of volcanos? Share your thoughts in the comments below as I’d love to know other spots to visit.